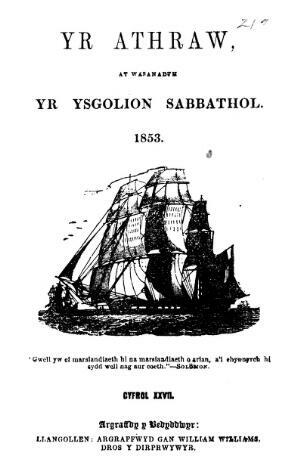 A monthly Welsh-language religious periodical that was intended for the children attending Baptist Sunday schools. Amongst its editors were the tutor and Baptist minister John Prichard (1796-1875) and the author and Baptist minister, John Rufus Williams (1833-1877). Associated titles: Athraw i Blentyn (1827-1852).